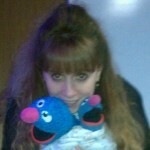 My name is Lisa and I would love the opportunity to make your Disney dreams a reality! I am the mother of my very own princess age 7 and a pirate age 4. I was bitten by the Disney bug at a very early age. My husband proposed in front of Cinderella’s castle and we honeymooned on a land and sea Disney vacation. Our children love all things Disney and have been to Disney World and sailed on the Disney Dream. I have enjoyed planning our family Disney vacations and also helping others plan their trips to the world. Now, as a vacation planner, I would love to help you plan the most magical vacation ever! I specialize in Disney World, Disneyland, Disney Cruise Line and Adventures By Disney. Let me do all the work so you can have all the fun! 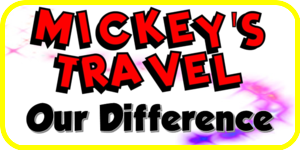 When you book with Mickey’s Travel “All the little things we do will make a big difference in your vacation!” Please contact me for a free quote today! Favorite Disney Park I love all of the parks but if I had to choose then Magic Kingdom would win out. It’s just the magic of walking up the street and seeing the castle for the first time. We always pick Magic Kingdom for our first park to visit because it has all of the classic rides and now some fantastic new ones too! Favorite Disney Attraction Fantasmic. It is an amazing show with all of your favorite characters in one place. Favorite Disney Restaurant Cape May Cafe. It has the fun character breakfast in the morning and the amazing seafood buffet for dinner. Beaches and Cream is right around the corner for dessert too!. Favorite Disney Character Sorcerer Mickey. He is a classic and timeless character.